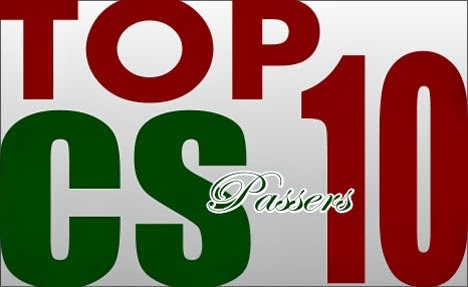 The top 10 passers of the Civil Service Exam held in October 2013 have been revealed. View the prof and subprof level topnotchers. Late last year, the Civil Service Commission (CSC) announced the passers of the Career Service Examination - Paper and Pencil Test (CSE-PPT) which was administered in 143 testing centers across the country in October. Out of 118,896 examinees, 13,958 passed the professional level while 2,361 out of the 20,278 takers successfully hurdled the sub-professional level.